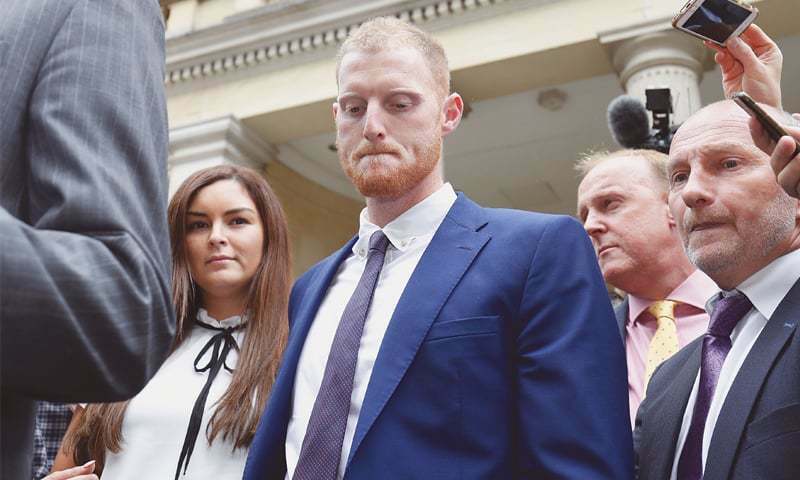 LONDON: England all-rounder Ben Stokes was cleared of affray on Tuesday over a fight outside a nightclub last year which prosecutors said had left two men unconscious. The England & Wales Cricket Board (ECB) promptly said Stokes would now join the England squad for the third Test against India which starts at Trent Bridge on Saturday, and would at some point face a disciplinary process. The 27-year-old New Zealand-born all-rounder, who took six wickets in the first Test victory over India but missed the second Test due to the trial, was found not guilty by a unanimous decision by the jury in Bristol after less than three hours of deliberations. Stokes was accused of knocking out Ryan Ali and Ryan Hale in a brawl in Bristol, southwest England, just hours after he had played in a One-day International against the West Indies last September. Ali, 28, was also found not guilty of affray. Hale was acquitted of the same charge part way through the trial at Bristol Crown Court. Prosecutors said Stokes, who helped England to victory in the first Test against India this month but missed the second match because of the trial, had lost control after drinking heavily earlier in the night. 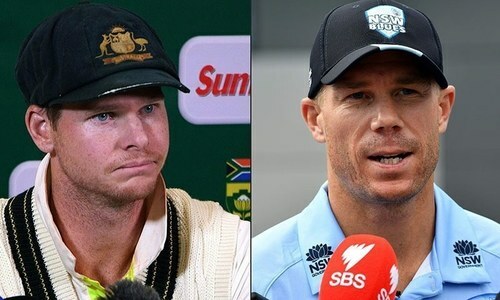 His lawyer Paul Lunt said in a statement after the verdict that the case had cost Stokes the England vice-captaincy, his place on an Ashes tour to Australia last winter and in other England matches. “The past 11 months have served to highlight to Ben just how highly he values his position as an England representative, both in terms of the privilege that role entails and the responsibilities that accompany it,” Lunt said. “Now that the trial is over, Ben is keen to get back to cricket being his sole focus,” he added. Prosecutors had told the court that after being refused entry to the Mbargo nightclub, Stokes had abused the doorman and then mocked two openly gay men. The cricketer, who was with fellow England international Alex Hales, then got into a fight with Ali and Hale. Stokes, who had denied the charge of affray, told the jury he had been acting in self-defence after stepping in to defend the gay couple who had been on the receiving end of homophobic abuse. His wife, Clare, cried when the not guilty verdicts were returned while Stokes closed his eyes with relief and then looked up. Stokes shook hands with Ali on leaving the dock at the end of the trial that lasted seven days. At the start of the trial the prosecution tried to amend the indictment and charge Stokes with two counts of assault occasioning actual bodily harm but this was rejected by the judge. And half way through the trial Stokes’s legal team attempted to have the case against him dropped but this was also refused by the judge. The jury had also been warned twice by the judge Peter Blair about press coverage and social media on the latter occasion instructing them to avoid looking at commentary of the case after Stokes’s lawyer raised the issue. One Twitter user created a poll asking whether Stokes should play cricket for England again if he was convicted but escaped a prison sentence. Stokes can at least for the moment refocus on cricket as following the announcement of the verdict he earned a recall to the England squad. However, the ECB statement also confirmed he and Hale would undergo disciplinary proceedings and in light of unedifying evidence given during the trial added there was much to digest. Meanwhile, former England captain Michael Vaughan said Stokes had been punished enough over the 11 months. Stokes’ England team-mate Jonny Bairstow, one of several players who were out with Stokes earlier that evening, said it was great news on both a personal and sporting front. “I am really happy,” he told Sky Sports. “It has been a long 10 months for him and his family. “Hopefully we will see him back in an England shirt soon as we saw the impact he had at Edgbaston,” added Bairstow, referring to Stokes taking four wickets in India’s second innings, including the crucial one of Virat Kohli, as England won a tight first Test by 31 runs. Both Stokes and Hales, though, can expect support from the Professional Cricketers’ Association (PCA). “As with any of our members who face difficult situations we provide the appropriate assistance,” it said in a statement. “We have been working with Ben and his legal team over the last 10 months and have provided our support throughout.